The MRD1817R is a cost-effective 17” LCD replacement for the Barco MRFD-243 packaged in a rugged NEMA 4/IP65 panel mount enclosure for use in Extremely Harsh Environments. The MRD1817R is a 17” rugged cost-effective LCD replacement for the Barco MRFD-243. 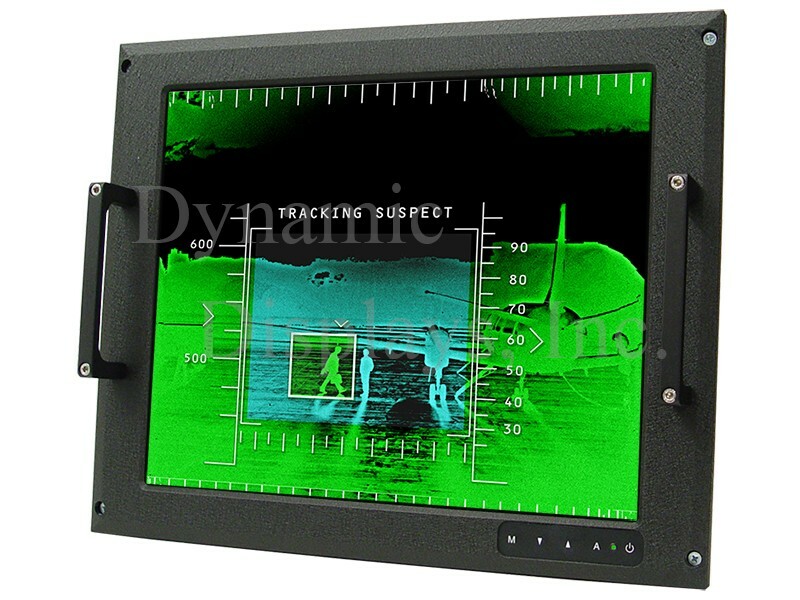 Packaged in a rugged panel mount enclosure, this monitor is designed for Extremely Harsh Environments for use in demanding applications that require graphics, video, and other RGB data on a single, rugged display. Rugged, Cost-effective, Barco MRFD-243 17” LCD Replacement - Front View. Standard VESA VGA + DVI Input Timings. Analog RGB Sync On Green (SOG), Composite Sync or Separate Sync Inputs. NEMA 4/12 & IP65 Front Panel. – Panel Mount. TTL Video Input for EGA, CGA and MDA Timings. 12VDC, 24VDC, 28VDC, and 48VDCInput Voltage.